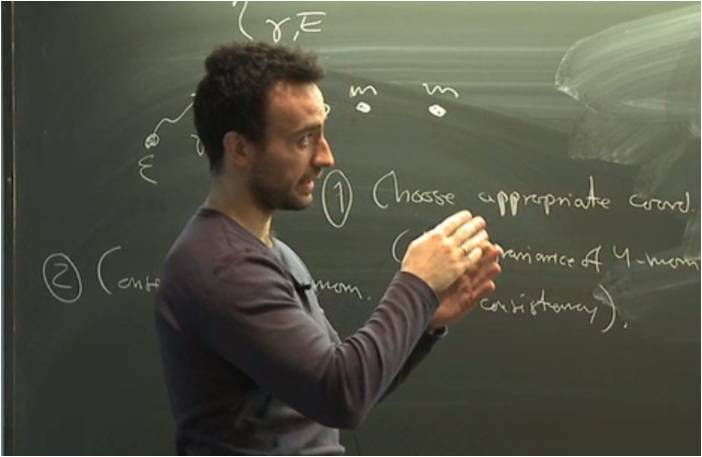 TFY 4345: Classical Mechanics (Spring 2012, NTNU openVideo). Instructor: Professor Jacob Linder. Constraints and generalized coordinates. Virtual displacements, Lagrange's equations. Variational calculus, Hamilton's principle. Lagrangian for particle in electromagnetic field. Constants of motion, symmetry properties. Virial theorem. Central forces, scattering. Elements of the kinematics and dynamics of rigid bodies. Special relativity. Normal coordinates. Hamilton's equations. Canonical transformations.